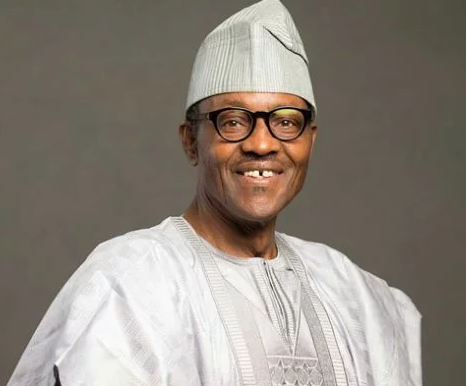 President Muhammadu Buhari on Monday said in the forthcoming 2019 General Elections, Nigerians must be allowed to vote for candidates of their choice. He said citizens’ choice should not by any means be tampered with. According to a statement by his Special Adviser on Media and Publicity, Mr Femi Adesina, the President spoke while receiving members of the Joint United Nations, African Union and ECOWAS Good Offices Mission on Elections at the Presidential Villa, Abuja. Adesina quoted Buhari as assuring his guests that the 2019 polls would be free and fair. “The President has only one vote, governors have a vote each, just like anybody else. Let the people vote for whoever they choose, without their will being tampered with,” the President said. Buhari said Nigeria had left the era in which democratic norms were brazenly subverted, with votes awarded to those favoured by the authorities and the shortchanged told to go to court if they were not happy. He added, “I am highly qualified to talk on this, having ended in Supreme Court three times, after participating in elections with disputed results. President of ECOWAS Commission, Jean-Claude Brou, said the team came on a solidarity visit to Nigeria before the forthcoming elections as it did with other countries like Senegal, Mali, the Gambia, and others which recently held polls. He appreciated the strong role Nigeria played in the sub-region while also thanking Buhari for his strides in the fight against corruption and terrorism. “You’ve always played politics according to the rules. We will do all that we can to strengthen the institutions. We’re convinced that INEC is ready to conduct free and fair elections,” Chambas said. In another development, also on Monday, Buhari stressed that his emphasis at all times was on free and fair elections. “I emphasise free and fair elections at all times,” presidential spokesman, Mr Femi Adesina, in a statement quoted the President as saying while receiving the Governor-General of Canada, Julie Payette, at the Presidential Villa, Abuja. Buhari said Nigeria’s democracy was steadily improving with deeper understanding of the culture and tenets among the people, and the strengthening of the institutions that guarantee free and fair elections. He said he saw the evolving strength of democracy in the country by contesting presidential elections three times before winning at the fourth trial in 2015. The President told his guest that Nigeria had been learning from the mistakes of those who practised democracy for a longer period, and by looking inward at its own peculiarities. He added that the bilateral relations with Canada would continue to be improved upon considering the huge interest of the country in Nigeria and growing economic ties, with many Nigerians schooling and working in the country. Buhari noted that Canada played a brotherly role in helping displaced persons in the North-East, following Boko Haram insurgency. In her remarks, the Governor-General said Nigeria and Canada had enjoyed a warm and strong partnership that had translated into ease of migration, large trade relations and cultural exchanges. The Governor-General noted that the world would achieve more by de-emphasising geographical differences and refocusing its energy on the commonality of humanity, pointing out that from space one could only see an earth without borders. Payette said her visit was about showcasing “youth, innovation and technology,” adding that Canada would like to partner Nigeria in the ongoing diversification of the economy. “We wish you free and credible elections in 2019,” she said. Speaking with State House correspondents at the end of the meeting with the President, Payette promised that Canada would help Nigeria to tackle insecurity. “Clearly, security and instability in Nigeria are vital to the entire African region and Canada is committed to cooperate and work together with Nigeria on this front as well,” she pledged. She described Nigeria as an important regional power and influential centre of arts and culture. She said Nigeria and Canada would cement their trade relations for the mutual benefit of the two countries. She said, “Nigeria is an important regional power, the most populous country in Africa, the largest economy and influential centre of arts and culture, dance, literature, folklore music and film. “Our two countries have been friends and partners for decades and we would like to continue in that fashion. We have many common interests in education, innovation, trade, culture and sports.